Has a picture been posted in this thread comparing regular white and ghost white caps? Curious about how ghost white looks. Got any more of the black on black sets? Are the dyesub enjoypbt brand? So that's a no then, right? I dont think so. I'm overseas now so I'll check and get back to you when I return after Christmas. Surprisingly, they are from EnjoyPBT. Submit an order if you want any, all those that are available are in the form, the rest are not available. Will you not be shipping out any current orders until then? Is it too late to join now? What's left and what's the price? Hi! I think my package has gone missing. I haven't gotten it yet and it was shipped at Jan. 2. US blue and US green. 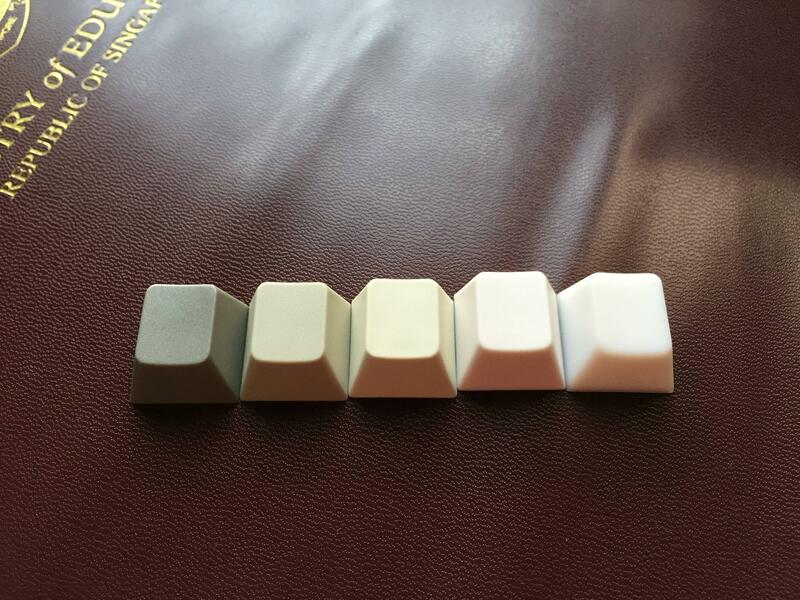 Do you have any more "Light Grey mods w/ Beige alphas" blank sets? Were you ever able to check if you had any us red 1800 kits laying around? It's been a few months now and I still have not gotten my US Red QQ. Any more ghost white sets available? Years later and lots of experience from OG to BSP to all kinds of quality modern ones. These still have my favorite texture. I accidentally ordered blanks on the form. Can you please cancel my order? Sorry about that! Anyone know where to buy a set of ghost white enjoypbt? 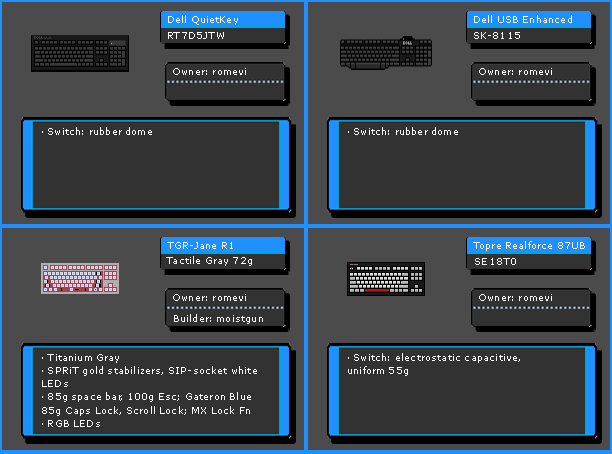 What dyesub sets are still available and for what prices? Thabks ! Filled out the form a few days ago, are the green sets out? Just sent the invoices! Sorry, it's the exam period now and I didnt really check the forms...sorry! So...what's available and at what prices? No problem, excited to get the set! There's only the US Green sets left. 50 USD shipped worldwide. Gonna print the labels and send them by next Monday!